Press Con and Taping of Bonakid Pre-School Ready Set Laban! GMA Network has teamed up with Wyeth Nutrition to bring viewers Bonakid Pre-School Ready Set Laban, the newest game show that will test the strength, energy and determination of kids. The show was introduced to the press last Friday, April 12, 2013 at the Dining Hall of GMA Studios. Present during the press con were the game show’s host, singer-songwriter and celebrity dad Ogie Alcasid, Camille Prats (the Mom Ambassador of Bonakid Pre-School), Aubrey Iñigo and Richard Arboleda of Wyeth Philippines and Ma. Leah Nuyda of GMA Marketing & Productions, Inc. 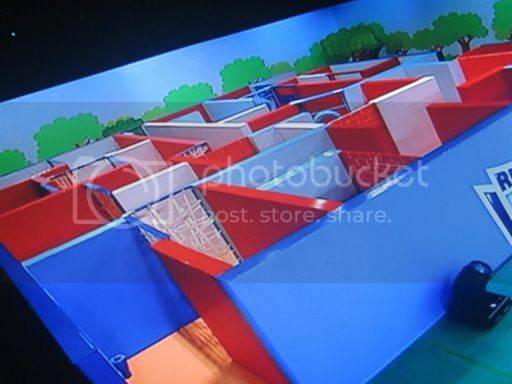 The action-lacked kiddie game show has various challenges set in an exciting custom-built obstacle course. Each episode features 2 teams consisting of mom-and-kid tandems (with one celebrity mom and kid for each team) that will compete in a qualifying game which will be randomly selected. The team that wins the qualifying game will advance to the main challenge called the Triple Boost Maze — a growth, energy and immunity challenge rolled into one thrilling game! 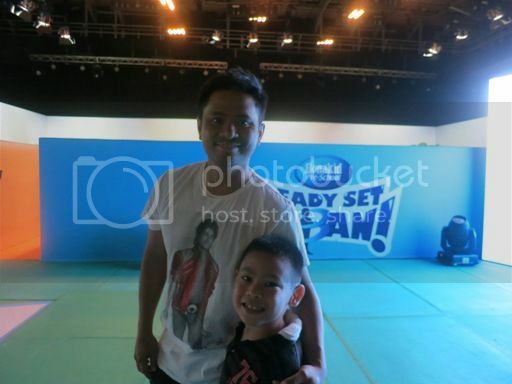 After the press con, we stayed behind for the taping of Bonakid Pre-School Ready Set Laban’s 5th episode. 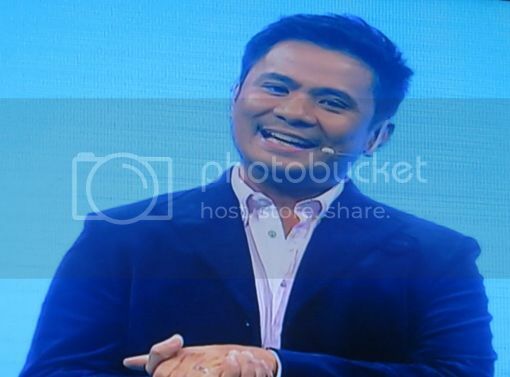 It was actually my 6-year-old son who wanted to watch the taping because he was fascinated with Ogie. We got to watch some of the things happening behind the scenes, from making the kids rehearse their lines to the changing of the studio settings for the different challenges for the show. We also managed to have a photo opp with Ogie during a break. Bonakid Pre-School is a powdered milk drink specially formulated to help support the nutritional needs of children 4 years and older. It has Tibay Boosters®, a combination of nutrients and other ingredients (Protein, Fat, Carbohydrate, Vitamin C, Vitamin E, Vitamin A, Carotenes, Zinc and Lutein) that help support the physical growth and development of children and help boost their bodies’ immune system. 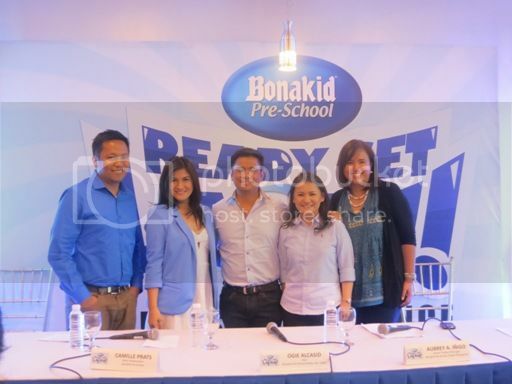 Bonakid Pre-School Ready Set Laban will have 8 episodes all in all, with its last episode slated on June 8. More than 1 million pesos in cash prizes are at stake, so the show is not only exciting and challenging but rewarding as well. Bonakid Pre-School Ready Set Laban will air every Saturday morning (before Eat Bulaga) starting April 20. This entry was posted in Bonakid Pre-School, Bonakid Pre-School Ready Set Laban, GMA Network, Wyeth Nutrition, Wyeth Philippines. Bookmark the permalink. 3 Responses to Press Con and Taping of Bonakid Pre-School Ready Set Laban! Wow, ang saya ni Justin! 🙂 I’ll have my son watch this show, too. At nang mas ma-inspire.